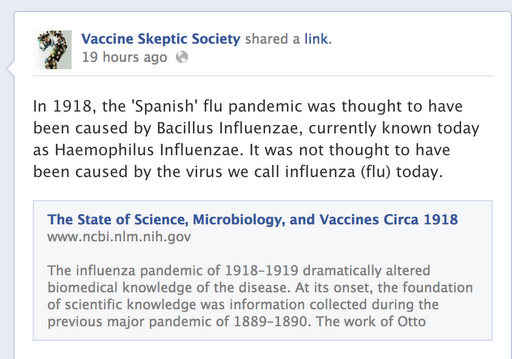 If you’ve been fighting anti-vaccine nonsense as long as I have, there are really few things that will impress you. (And I don’t mean “impress” in a good way.) There’s not a lie or conspiracy theory that anti-vaccine activists won’t adhere to. Their own delusions of grandeur come through when they call themselves “vaccine experts” and then display a woeful ignorance about basic biology. This is the case with one Mr. Joel Lord from Vancouver, Canada. He is the founder of the “Vaccine Resistance Movement,” a “grass roots” movement to try and bring down vaccine programs everywhere. Mr. Joel Lord has seemingly zero background in the biological sciences. I looked everywhere to see if and when he studied biology (or any science, really), and I came up with nothing. In his own page on his own site, he doesn’t mention any formal training in any kind of science. At least Andrew Jeremy Wakefield took the time to go through medical school. What has Mr. Joel Lord done? Seemingly, nothing. Lord is a prolific writer, having published scores of articles on the VRM’s website. His organization held an anti-vaccine summit in Vancouver last year. He promotes what he calls a vaccine-free natural approach, because he believes the chemicals in vaccines are behind severe damage to children’s developing brains. “Look into the eyes of a child who has been seriously damaged by these early childhood shots and you have to go no further,” he said. That really tells us nothing, Mr. Joel Lord. There is zero evidence of anything in your words. 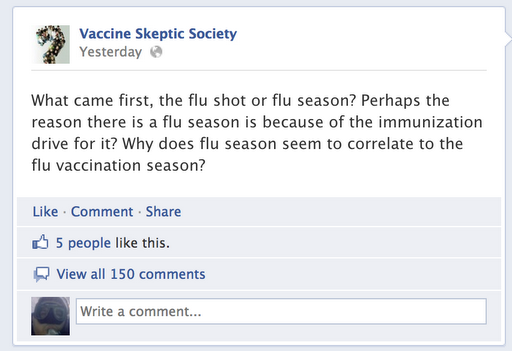 You even confuse causation with association all over the place. Most people in an outbreak of pertussis are vaccinated? Well, yes, because most people are vaccinated, period. More people are vaccinated against chickenpox, but we’re seeing more shingles than ever. Well, yes, because the demographics in North America are shifting toward an older generation who had chickenpox as children and have not been exposed in a while because of the vaccine. Luckily, we have a good shingles vaccine for that. In other words, Mr. Joel Lord just doesn’t understand the big, scary world around him. “Pay for my vacay, and I’ll tell you some lies,” I think he said. He wants to speak in our community! How cute. We have to make it happen, though. How? By paying for him to fly in, stay a couple of nights, pay him a “reasonable honorarium” and then get him back to Canada. Not only that, but the “reasonable” honorarium is “well below average for doctors in the field”. Fantastic! Could it because Mr. Joel Lord is not a doctor? Could it be cheaper for him to talk about vaccines because he is ignorant about basic science? 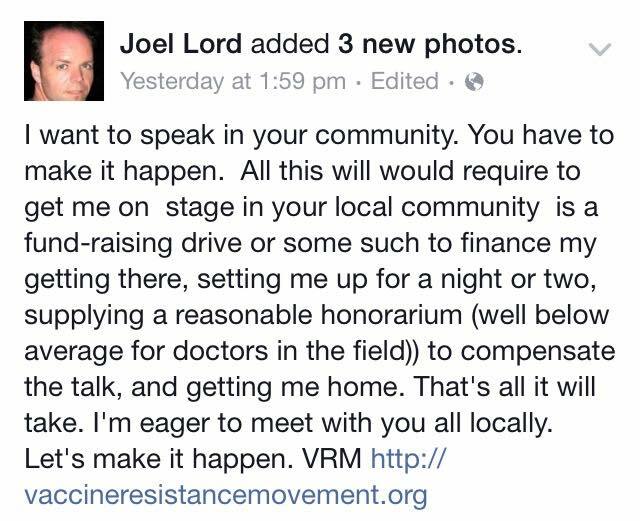 Sorry, Mr. Joel Lord, but I would probably get better information on science in general and vaccines in particular if I asked a high school student taking biology to come talk to my community. Seriously, Mr. Joel Lord, you’re embarrassing yourself. And that “study” you hope to conduct? I would be shocked in the most extreme if you could mention and discuss just ONE potential source of bias and how you plan to address it in your analysis. Just one. Mr. Joel Lord, do you think your followers are idiots? No, don’t answer that. It was a rhetorical question. You remember Andrew Jeremy Wakefield, don’t you? He’s the British physician who conducted a case review of autistic children and, despite what his “study” had to say on the matter, he told the world that it was his gut feeling that the MMR vaccine caused autism. Here we are, more than 15 years later after that case series was published, still having an argument about vaccines and autism. This in spite of the fact that there have been no credible, repeatable, peer-reviewed studies confirming Wakefield’s findings, or the conspiracy theories of others about thimerosal in vaccines leading to autism. (The MMR never had thimerosal in it, nor did any of the live-virus vaccines.) If anything, the science is moving more and more toward confirming the theory that autism is a manifestation of our neurobiology. That is, we’re all normal, and autistics are on one end of the spectrum of normal. Or, better stated, we’re all autistic, and those of us who don’t exhibit autistic behaviors are on one end of the spectrum of autism. We fight ’em. We fight ’em until we can’t. It basically means that you keep at something that is futile, worthless, not worth doing. Unfortunately, there are people who keep beating a dead horse. Except that this “dead horse” is very serious, deadly even. The person doing the beating is Andrew Wakefield. Yes, I know my policy is not to mention any names. But he’s just asking for it. As it turns out, there is a new blog, Facebook group, and Twitter feed that beats the dead horse that the MMR vaccine causes autism, that Andrew Wakefield did not commit a fraud in his retracted Lancet “study” (it was a case series), and that anyone stating otherwise must be dragged to court in Texas to face the law (aka a “Strategic Lawsuit Against Public Participation“). Warning: There is a picture of Wakefield and his wife in their posh living room. Wakefield is wearing no shoes and has a smug smile about his face. People have told me that they lost their lunch at the sight. You’ve been warned. Anyway, I for one am glad that they are deciding to blog and post his every move. A threat to public health like the idea that the MMR vaccine should not be administered out of some fear of autism must be watched carefully, monitored. It must be countered.